On 5th September I attended the study visit at Norwich Castle to see the Artist Rooms exhibition of works by Jeff Koons. As one of only two photography students attending the study visit, I was interested to see what a modern artist was creating. My other photographic colleague stated that he was there to discover ‘what art is’. More of this later. Koons is sometimes called the King of Kitsch, as his art is all about mundane objects. 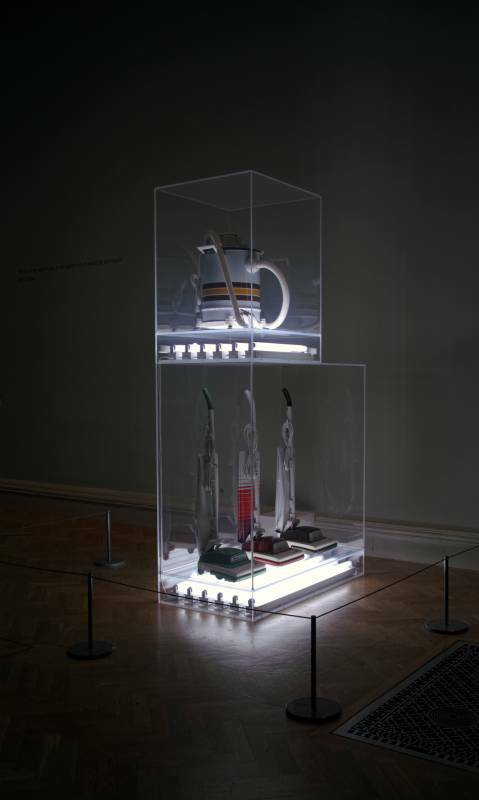 One of the first things to strike you when entering the gallery was his display of vacuum cleaners encased in plexiglas boxes and illuminated from below with fluorescent tubes. The Revelations exhibition consisted of three rooms in the Media Space on the second floor of the museum. The by-line of the exhibition was Discover the influence of early scientific photography on modern and contemporary art.